Bart Rudolph | Municipality of Anchorage Nov 1, 2018. 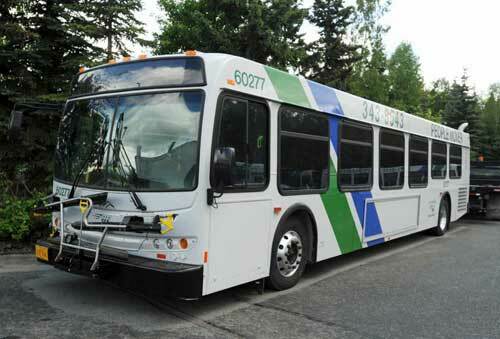 ANCHORAGE – The Municipality of Anchorage’s (MOA) Public Transportation Department (PTD) is offering free bus rides on People Mover to everyone on election day, Tuesday, November 6, 2018. People Mover is joining other transit agencies across the country in providing free public transit to help make it easier for residents to make it to the polls. “Access to transportation is often cited as a potential barrier to voter participation and we are happy to help eliminate such barriers by offering our services to everyone, free of charge,” said Jamie Acton, PTD Director. First time and existing riders can plan their trip to the ballot box with Google Maps by selecting transit as their mode choice when getting directions. They can also call the Ride Line at 343-6543. For more information, please contact Bart Rudolph at (907) 343-8490 or visit www.peoplemover.org.